A Fabricated Journey: Just a few to show! 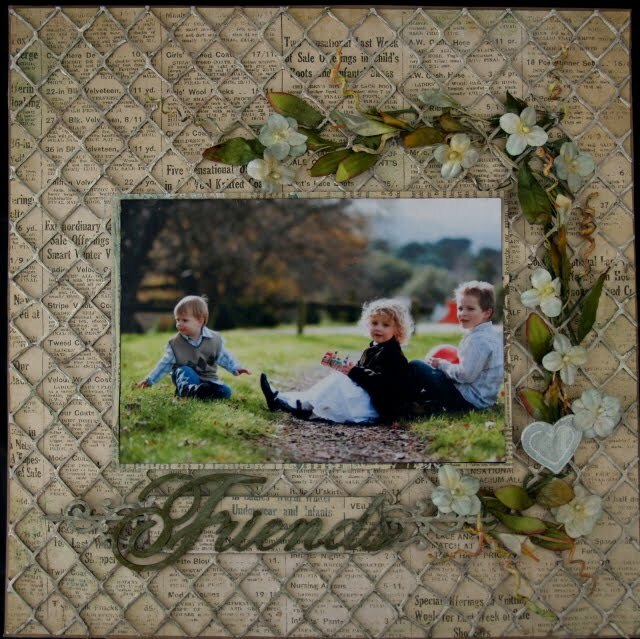 Slowly over the next few days I will finally show my 'Twiddleybitz' Brisbane Scrapbook Expo layouts and projects. NO more sneak peaks, which by the way I really hate them - they are just nasty teasers. This is the stunning 'NEW' Flourish overlay revealed for the first time at the Expo. 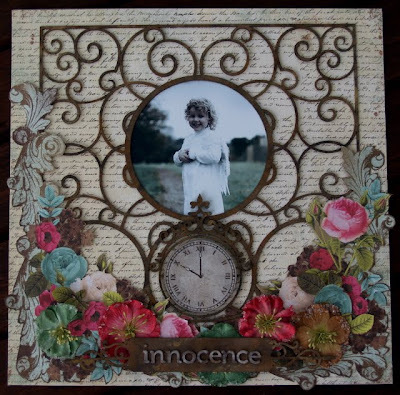 I have used lot's of different inks to try and give the chipboard a wrought iron -vintage look and have added some stunning recollections flowers that I bought in Michaels in New York. I have also altered the Twiddleybitz hanging clock and turned it upside down. Sorry - Removed for Publication. Back Soon! This is one of those rare occasions when my children are in a photo together. 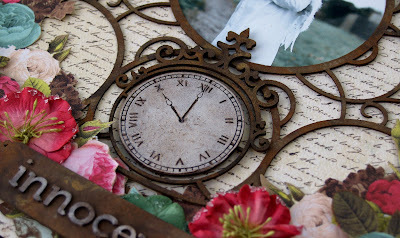 I have used 4 pieces of chicken mesh Chipboard, covered with various inks and then applied the Tim Holtz crackle paint. The vines are Prima, however I have coloured the flowers with Crafty Notions colour sprays. Thanks for dropping by! Tomorrow I will be revealing my Altered Nature book so come on back for the full reveal! G! I have always loved the page with the squares. (I love how creative your mind is...the way it ticks!). The second page with the chipboard is really lovely. It's amazing how Tim Holtz, Prima and Twiddleybitz all come together nicely.